Smoked turkey, pheasant, salmon, pâté: these expensive delicacies can be made at home for surprisingly low cost. Wild game and domestic meats are prepared in any of dozens of marinades and brines, then set in a smoke cooker to absorb the flavor of hickory, apple wood, mesquite, chestnut, or maple smoke. The smoke cookers—which cost no more than a quality barbecue grill—are readily available. Included are recipes for beef, pork, lamb, venison, chicken, turkey, duck, fish, shellfish, jerky, sausage, nuts, cheese, and even pasta. 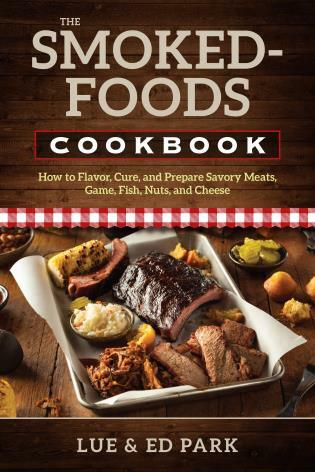 Complete menus provide guidelines for satisfying meals featuring smoked foods. Lue Park lives in Bend, Oregon.